(Montalcino, Italy – February 21, 2018) Castiglion del Bosco, Tuscany, has introduced The Club, Europe’s finest golf and wine experience at Italy’s only private members’ club. The exclusive new invitation to membership combines golf on an exquisitely presented private golf course with privileged access to one of the world’s most beautiful wine estates, prized for its internationally acclaimed Brunello wines. 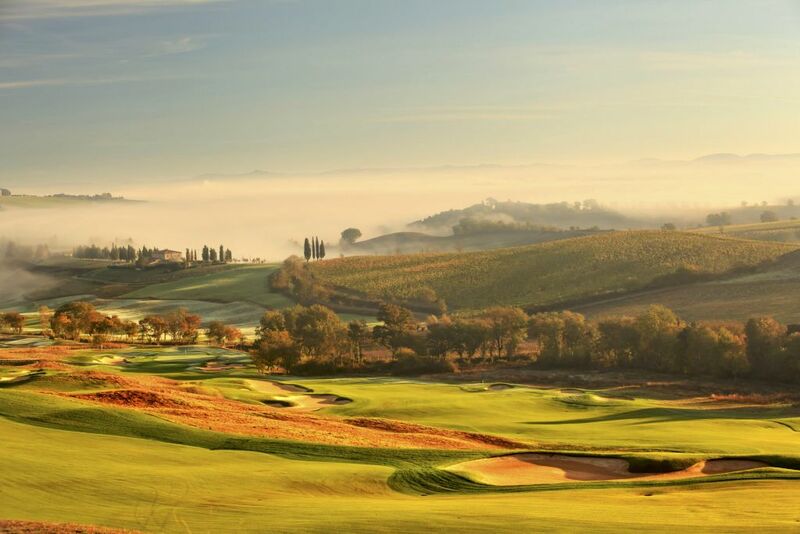 For discerning golfers and wine lovers, membership of The Club at Castiglion del Bosco offers unparalleled privacy and a rare opportunity to retreat to the peace and natural beauty of the Val d’Orcia, a UNESCO World Heritage Site. Members and their guests also benefit from invitations to exclusive international golf and wine events at some of the most prestigious private clubs around the world, hosted by Castiglion del Bosco’s founders and proprietors, Massimo and Chiara Ferragamo. David Waters, General Manager of The Club at Castiglion del Bosco, said: “By creating The Club we are introducing a unique private club experience combining exclusive golf and wine within an historic, 400-year-old Tuscan estate. Castiglion del Bosco features one of the world’s most beautiful wine estates, prized for its internationally acclaimed Brunello wines. The golf course at Castiglion del Bosco is one of the finest private courses in Europe and the only Continental European design of Tom Weiskopf. The former Open Champion famously added a short 19th challenge hole, The Brunello Hole, where Members play for a Magnum of Brunello. 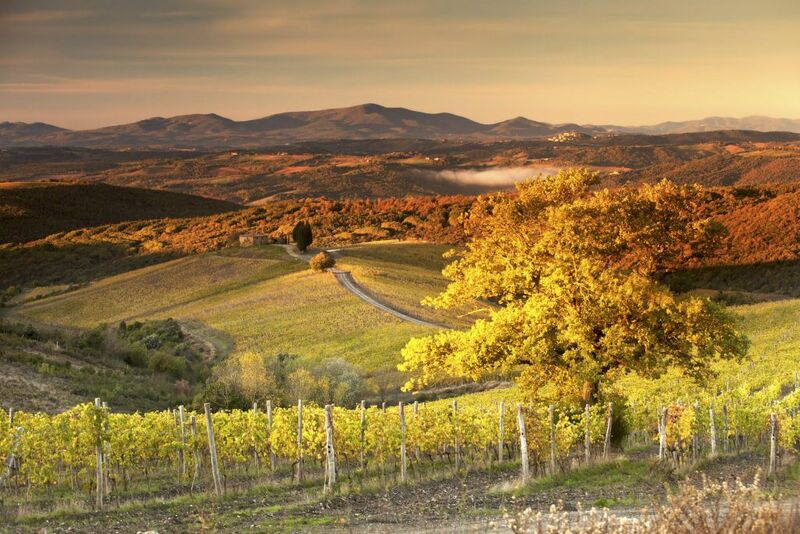 The estate’s organic-certified vineyards occupy 62 hectares of stunningly beautiful Tuscan hillsides, planted solely with the Sangiovese red wine grape variety responsible for the sought-after Brunello di Montalcino wines, of which Castiglion del Bosco is now one of the five largest producers. The state-of-the-art winery, named one of the top ten wineries to visit in Tuscany by Decanter magazine, regularly hosts tours and tastings, as well as private social events. Members of The Club also enjoy privileged access to Rosewood Castiglion del Bosco, a five-star resort and spa within the estate. Offering 23 suites and 11 luxury villas set in restored 17th- and 18th-century farmhouses, it provides convenient accommodation for Members, their families and guests during visits to Castiglion del Bosco. DALLAS, TX (February 21, 2018) — Four Arcis Golf properties in Colorado have been honored for excellence in Colorado Avid Golfer magazine’s 2018 CAGGY Awards for the readers’ choice “Best in State.” The 16th annual CAGGY awards for the Best of Colorado Golf were determined by close to 100,000 online votes tabulated by Colorado Avid Golfer, the leading golf lifestyle publication in the Rockies. 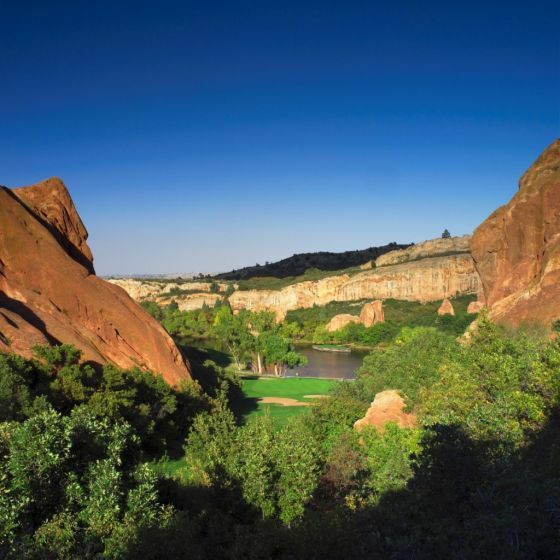 The venues – Arrowhead Golf Club in Littleton and Park Hill Golf Club in Denver, along with The Pinery Country Club and The Club at Pradera, both in Parker – garnered numerous honors. Also in the Public and Resort division, Park Hill Golf Club, the 1931-era classic design by Clark Hamilton, was named No. 3 Best Course For Women in Denver. In the Private Club division, The Pinery Country Club and The Club at Pradera were cited the best in several categories. The Club at Pradera, which features an adventurous, Irish-influenced design by Jim Engh, was rated the Best Overall Experience and Best Food, and golf professional Jason Witczak was named Best Instructor for Men. The Pinery Country Club, which offers 27 holes of golf with panoramic vistas, and The Club at Pradera shared the distinction as Best Value in the Private Club division. An industry leader in providing inventive direction, unrivaled lifestyle amenities, and exceptional playing experiences, Dallas-based Arcis Golf has expanded its portfolio of owned and operated clubs to include 60 private, resort, and daily-fee clubs throughout the United States. At every venue – whether owned or managed – Arcis Golf focuses on creating extraordinary experiences and forging emotional connections with members and guests. Over the past three years, Arcis Golf has invested more than $60 million in upgrades, amenities, personnel, training, and systems to maximize the growth and future success of its clubs. Arcis Golf ranked No. 2 in ‘Travel & Hospitality’ and No. 171 overall on the 2017 Inc. 500 list recognizing the fastest-growing private companies in America. In addition to its distinctive collection of clubs, Arcis Golf has built a best-in-class leadership team that is reinventing the modern club experience, making it more customized and relevant to the lifestyles of today’s consumer. The CAGGY awards divided facilities into two categories (Private, Public and Resort), with voting for Instruction and Travel Destinations as well. The CAGGY awards can be viewed in the Spring edition of the magazine, as well as online at www.coloradoavidgolfer.com. Arcis Golf is the premier operator of public and private golf clubs in the United States and an industry leader, providing dynamic direction and unrivaled amenities that complement diverse playing experiences. Arcis Golf properties enhance the golf and country club lifestyle to a level of excellence designed to exceed the needs and expectations of family, friends, co-workers, and guests of all ages. Capitalizing on the resources developed to support its growing portfolio, Arcis Golf also provides professional management services to third-party owners under its Arcis Advantage division. The company is supported by Arcis Equity Partners, LLC through strategic acquisitions that build and sustain the company’s leadership position. MYRTLE BEACH, SC — Tickets for the 24th annual Hootie & The Blowfish Monday After the Masters Celebrity Pro-Am golf tournament go on sale Monday, February 19 at 10 a.m. at the House of Blues, the Barefoot Resort & Golf pro shops and all Ticketmaster outlets. The Monday After the Masters will be played at Barefoot Resort’s Dye Club on April 9. This will mark the 16th consecutive year the event is played at the Dye Course and festivities will begin with entertainment on the 1st Tee at 9 a.m. The tournament will tee off at 10 a.m.
Tickets are $20 and children 12 and under are admitted free when accompanied by a paying adult. Monday After the Masters has sold out 11 consecutive years, annually attracting a crowd in excess of 6,000 people. Headlining the early celebrity commitments for this year’s event are ESPN Radio host Mike Golic, basketball hall of famer Rick Barry, and hockey legend Grant Fuhr. Former PGA Tour champions Woody Austin and Chris DiMarco and aspiring LPGA player and media personality Paige Spiranac are among the professional golfers who have committed to play. 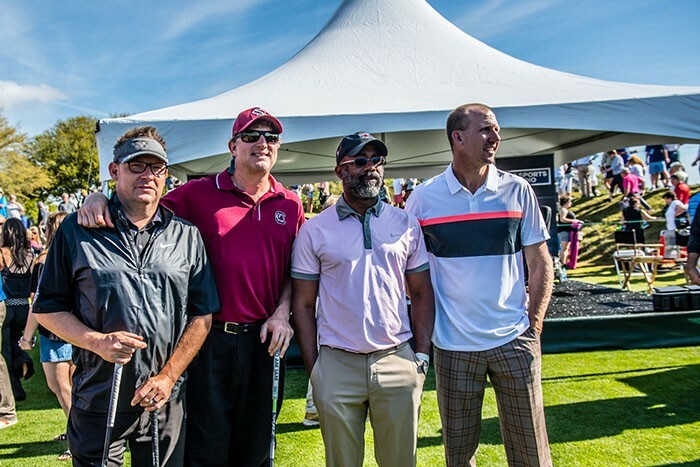 All ticket proceeds benefit the Hootie & the Blowfish Foundation, which supports the educational needs of children in South Carolina and the South Carolina Junior Golf Foundation through a fully funded endowment. Monday After the Masters has hosted celebrity actors, sports figures, musicians and more. Guests have included PGA Tour stars Tiger Woods, Dustin Johnson, Jim Furyk, Tom Watson, John Daly and Arnold Palmer, along with LPGA Tour stars Annika Sorenstam, Nancy Lopez and Kristy McPherson from Conway. Sports and entertainment stars Bill Murray, Samuel L. Jackson, John Elway, Johnny Damon, Dan Marino, Joey Fatone and Josh Kelley, among many others, have also participated in the event. For more information about the Hootie & The Blowfish Monday After The Masters Celebrity Pro-Am, visit HootieGolf.com. Myrtle Beach, S.C. – One of golf’s fastest rising personalities will spend 2018 getting to know the game’s most popular destination. Paige Spiranac, a professional golfer and media personality, has joined the PlayGolfMyrtleBeach.com team and will spend time in Myrtle Beach, discovering the virtues of the Grand Strand golf experience. Spiranac, who played collegiately at San Diego State, is new to Myrtle Beach, and she will share her introduction to the area with her 1.3 million followers on Instagram, 176,000+ Twitter followers, and 242,000+ Facebook fans. Over the course of the year, Spiranac will enjoy the Myrtle Beach that has attracted millions of golfers, playing area courses, sampling an underrated dining scene, and visiting the Grand Strand’s famed beaches. Spiranac will chronicle her time in Myrtle Beach via her social media channels with an emphasis on video that allows fans to experience the area along with her. Spiranac has golf’s fourth largest social media following and has emerged as a bridge between the game and a generation of millennials it has struggled to reach. With an emphasis on inclusion, Spiranac has become a leader in the golf digital production space, routinely producing videos that draw in excess of 300,000+ views. She has been featured on the covers of Golf Digest, Pacific San Diego Magazine, and the Colorado Avid Golfer, and her content featuring collaborations with media entities like Topgolf, Barstool Sports, and The Chive have generated millions of views on social media. Be sure to follow Paige’s time in Myrtle Beach on social media at @MyrtleBeachGolf on Twitter, @MyrtleBeachGolf on Instagram and @golfholiday on Facebook. For more on the relationship between Spiranac and Golf Tourism Solutions, go to www.PlayGolfMyrtleBeach.com. DAYTONA BEACH, Fla. — With the Daytona 500 less than two weeks away, the eyes of the sports world will be turning to Central Florida, but for golfers, the end of the Great American Race is the just the beginning of the good times. Home to 28 courses, Daytona Beach’s spring golf season offers players a multitude of packages that are long on quality and value. With average high temperatures of 71 in February, 74 in March, 79 in April and 85 in May, Daytona Beach’s weather is as appealing as its golf offerings. The appropriately named “Feels Like Home” package is a 3-night, 3-round deal that features accommodations at Homewood Suites and golf at Cypress Head Golf Club, the Jones Course at LPGA International and Cypress Knoll Golf & Country Club. The Jones Course is, by consensus, one of Florida’s best public courses, Cypress Head is a municipal course that offers a premium round, while Cypress Knoll provides a country club experience. The “Feels Like Home” package starts at $370. Plaza Resort & Spa, an oceanfront resort property, is offering a 3-night, 3-round deal that includes golf at Halifax Plantation, the Hills Course at LPGA International and Indigo Lakes Golf Club. To put the quality of that trio into perspective, the Hills Course and Indigo Lakes have hosted LPGA Tour events, and Halifax Plantation has long been regarded as one of the area’s best. The Plaza Resort & Spa deal starts at $370. Holiday Inn Daytona Beach LPGA Blvd., located just minutes from Daytona Beach’s most acclaimed courses, has a 3-night, 3-round special that starts at just $337. The package includes golf at Spruce Creek Country Club, home of America’s largest fly-in community, the Hills Course at LPGA International and Cypress Head. Best of all, Daytona Beach’s golf package combinations are nearly endless (and interchangeable). The area is also home to three courses that are part of the Historic Florida Golf Trail – New Smyrna Golf Club, The South Course at Daytona Beach Golf Club and Riviera Country Club – in addition a multitude of modern 4-star designs, such as Victoria Hills and Venetian Bay. 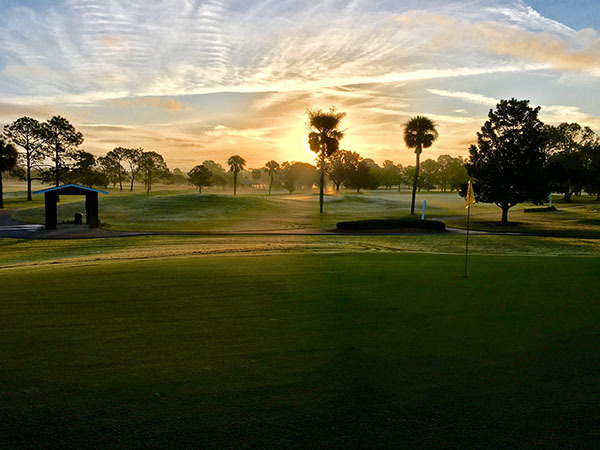 Whether players are looking for classic golf course architecture – New Smyrna Golf Course and Daytona Beach’s South Course are Donald Ross designs – or want a more contemporary test, Daytona Beach has something for everyone. Myrtle Beach, S.C. – Family Golf Week, which includes the 21st annual Father-Son Team Classic, announced that Srixon/Cleveland Golf will be the title sponsor of this year’s event. Family Golf Week, held annually in Myrtle Beach, S.C., will feature the Father-Son and Parent & Child Team Classics, two distinct events with the same goal – to celebrate the bonds between golf and family. Both tournaments will be played July 18-21. As part of the sponsorship, players will receive a dozen Srixon golf balls, and Srixon/Cleveland will sponsor the always anticipated Family Golf Week Demo Day on July 18, allowing players to test the company’s newest offerings, and the Skills Challenge on July 19. 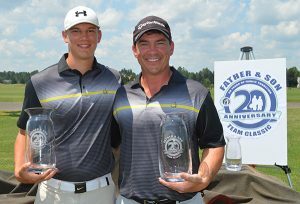 The Father-Son Team Classic is the largest tournament of its kind in the world, annually attracting 600+ players from 40 states and three countries to Myrtle Beach. The 54-hole tournaments will be played on several of Myrtle Beach’s best courses, including TPC Myrtle Beach, Rivers Edge and the Fazio Course at Barefoot Resort, all layouts that have been ranked among America’s 100 Greatest Public Courses. Joining the top 100 layouts as host courses are Crow Creek, which just installed new bentgrass greens, Legends Resort and Wachesaw Plantation East, a four-time host of a LPGA event. Seattle, Wash. (January 26, 2018) — Swedish teenage golf sensation Julia Engström has joined Cutter & Buck as a global brand ambassador. Engström, who turns 17 in March, will wear Cutter & Buck for her debut season on the Ladies European Tour (LET), starting in Australia at the upcoming Oates Vic Open. Cutter & Buck’s parent company, New Wave Group AB, is headquartered in Sweden. One of Sweden’s all-time greatest amateurs, Engström qualified for the LET in December and turned professional on Jan. 1. She wound up her amateur career with a long list of accomplishments and was the world’s top-ranked 16-year-old player in 2017. Engström made history in June 2016 when she won the Ladies’ British Open Amateur, as the championship’s youngest winner at age 15. She also finished third in the Girls’ British Open Amateur Championship and earned a spot on the Junior European Ryder Cup team. Established in 1990, Cutter & Buck has become a hallmark for delivering fresh approaches to versatile sportswear. Based in Seattle, the company prides itself on the design, manufacturing and distribution of premium, versatile apparel that meets the demands of an active lifestyle. With an expanding line of products for the golf, corporate, collegiate and professional sports, and specialty retail markets, Cutter & Buck has partnerships or licenses with the NFL, NCAA, MLB, PGA of America, USGA, PGA TOUR and USTA. Cutter & Buck is available worldwide in golf pro shops, fan shops, resorts, specialty retailers, through premium promotional product distributors, and at cutterbuck.com. TUCSON, ARIZ. January 2018 — Repeating a coveted national accolade, The Golf Club at Dove Mountain has been named one of the “Top 100 Resort Courses in the USA” by Golfweek magazine, ranking #1 in southern Arizona as well as #2 on the publication’s list of Arizona’s top resort courses overall. Each year, Golfweek’s elite team of course raters, which currently boasts more than 850 evaluators, surveys more than 3,600 courses – grading each nominated course on the basis of Golfweek’s 10 strict standards of evaluation. Collectively, these raters have turned in more than 75,000 votes to compile Golfweek’s Best Courses as listed in its newly released Ultimate Guide. 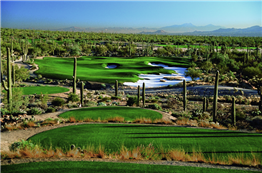 Nestled against Arizona’s spectacular Tortolita Mountain range, the 27 holes of The Golf Club at Dove Mountain are challenging and engaging, reflecting the lush high Sonoran Desert’s mountainside terrain at a course elevation between 2,300 and 3,000 feet. Features include 27 holes of Jack Nicklaus Signature golf, a 12-acre practice facility with PGA professional golf instruction, a full-service golf and retail shop, a 45,000 square-foot clubhouse which has won significant global design acclaim, and the popular Cayton’s Restaurant. The Golf Club at Dove Mountain neighbors the exclusive Gallery Golf Club which, similarly, has hosted prestigious WGC World Championship Match Play competition in recent years. Designed by John Fought and British Open Champion/2006 Ryder Cup captain Tom Lehman, the private Gallery Golf Club features 36 holes and is acknowledged as one of Golfweek’s Top 100 Modern Courses. Renowned golfer and former European tour competitor Adrian Davies was recently named Head Golf Professional for The Gallery, to which overnight guests of The Ritz-Carlton, Dove Mountain receive privileged access. 29th January 2018, St Andrews, Scotland: A new and unparalleled experience at golf’s first championship, The Open, is now available to golf fans around the world through a partnership with QuintEvents, the industry leader in major-event travel, hospitality and experiential ticket packages. Launched ahead of The 147th Open at Carnoustie in July, The Open Experiences offers spectators unprecedented access to The Open and exclusive playing privileges at some of the most famous golfing destinations in Scotland, the home of golf. The Open Experiences and www.TheOpenExperiences.com nwill be promoted jointly by The R&A and QuintEvents International, which counts Formula 1, The Kentucky Derby, College Football Playoff, The Super Bowl, Pro Football Hall of Fame and The Players Championship among its partners. Malcolm Booth, Sales & Marketing Director at The R&A, said, “We are excited to offer a new opportunity for fans from all over the world to get closer to golf’s oldest championship and experience The Open from a unique perspective. Keith Bruce, President of QuintEvents International and former CEO of The Super Bowl 50 Host Committee in San Francisco, added, “We’ve been able to bring people closer to the sports they love by creating insider access to some of the world’s most prominent events. The Open Experiences will feature exclusive golfing opportunities, world class hotel accommodation, immersive tours, behind the scenes access, spectating viewpoints, and VIP hospitality including bespoke events attended by Champion Golfers. Two-time Champion Golfer of the Year, Padraig Harrington, whose 2007 victory came the last time The Open was played at Carnoustie, will be the special guest Saturday night at the exclusive Open Experiences Party. and present individuals and businesses with unique and special experiential opportunities at The Open. The Open Experiences packages guarantee authenticity and includes behind the scenes access and facilities unavailable through any other source. The “Ultimate Open Experience” package features access to the famed Hogan Balcony in the Carnoustie Golf Hotel overlooking the 18th hole, rounds of golf at St Andrews Links and Carnoustie, and a weekend of VIP hospitality, experiences and access watching The 147th Open at Carnoustie from the Hogan Suite. That package also includes attendance at The Open Experiences Party and a visit to the Headquarters of The R&A in St Andrews during The Open. “The Tradition” package provides access to a private suite on the 18th tee at Carnoustie and includes a photo opportunity with The Claret Jug, the iconic trophy, presented to the Champion Golfer of the Year at The Open each year, as well as access to The Open Experiences Party and other exclusive experiences and tours. Ends. QuintEvents International was established in 2017 to manage QuintEvents’ Formula 1 partnership, which encompasses 20 events in major cities around the world. QuintEvents is the 12-year-old, industry-leading travel/experience company servicing an array of 17 partnerships and almost 100 sports and entertainment events.